If you haven’t heard already, Disney’s beloved animated series DuckTales is coming back in a huge way next year with a brand new television show scheduled to air on Disney XD. Not only that, but the series features an all-star cast that includes David Tennant as Scrooge McDuck, Danny Pudi as Huey, Ben Schwartz as Dewey, and Bobby Moynihan as Louie. How awesome does that sound!?! 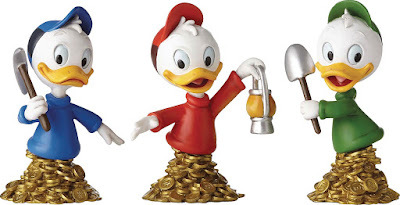 To commemorate the return of one of the original Disney Afternoon television series, Enesco has released this killer new line of DuckTales Grand Jester Mini Busts! First up is the Uncle Scrooge Grand Jester 8” stone resin mini bust ($69.99), which features the duck sitting atop a treasure chest fill with gold base as Scrooge searches for more treasure with his map and cane. Then there’s the Hewey, Dewey and Louie Grand Jester Mini Bust Set ($99.99). Each of Uncle Scrooge’s nephews feature a base of shiny gold coins and stands 4.5” tall to be in scale to Uncle Scrooge. 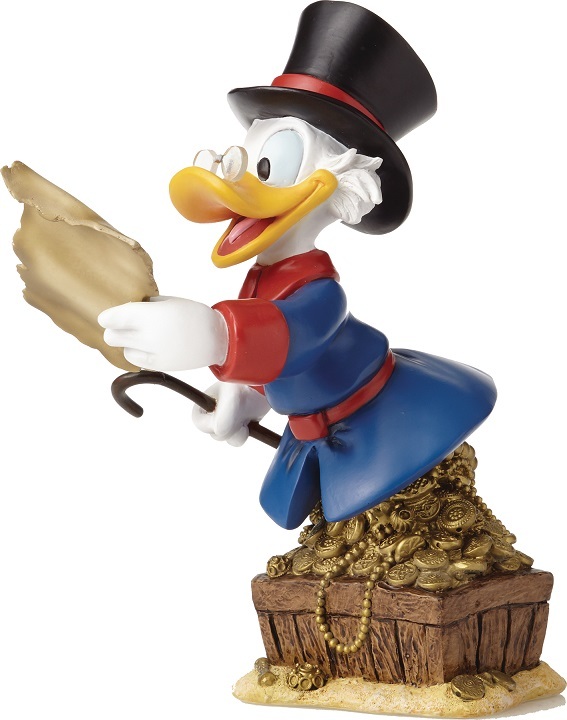 Both DuckTales Grand Jester Mini Bust releases can be purchased at Entertainment Earth now here.